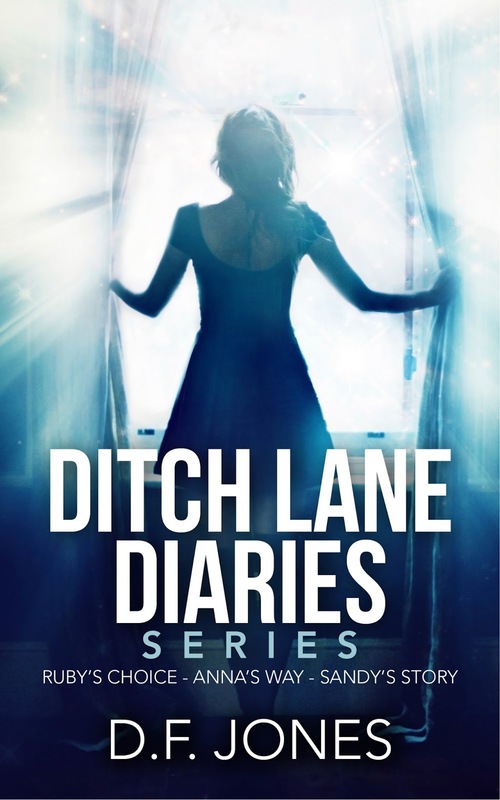 The Ditch Lane Diaries One-Volume Collection, includes Ruby's Choice, Anna's Way, and Sandy's Story, follow three best friends from college to adulthood while navigating life's journey, true loves and supernatural powers bestowed by The Creator as The Chosen to fight in a six-thousand angelic war between good and evil. The prophetic dreamer, Ruby's Choice is a coming of age tale of firsts including the angst of falling in love. 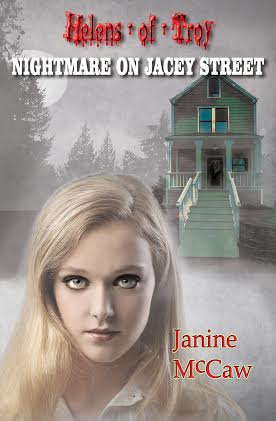 Ruby’s Choice introduces the main characters of the story while adding a splash of paranormal. Anna's Way is the second installment of The Ditch Lane Diaries. Anna is a healer, and one of The Chosen Wards of The Creator. However, Anna learns quick that true love doesn't come in a nice and neat package. She is in love with Jerry but when she decides to go away to medical school things change. In Anna's Way, the Ditch Lane Diaries characters evolve with adult problems. She meets her guardian angel, Ralph, who teaches Anna how to use her gift to help others without drawing attention to herself. Anna's friendships and true love is the tie that binds them together while facing supernatural battles against the master of all evil. The clairvoyant, Sandy's Story is the last book of the Ditch Lane Diaries. The fast-paced, gripping thriller keeps the reader on edge, and the pages turning. Investigative reporter, Sandy Cothran follows a murder lead on Music Row which uncovers Luc's Testament along with a string of related crimes. Sandy's guardian angel, Baldric is sworn to protect her but finds himself falling in love with Sandy which breaks all the rules of heaven and places her in grave danger because Luc is waiting in the wings on his given moment to pounce. The Wards of Campbell Ridge fight with Heaven's Warrior Angels in an epic supernatural battle against Luc and his demons to save one of The Chosen. 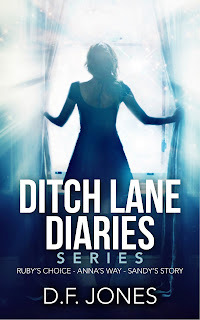 "The Ditch Lane Diaries series has it all and is easily one of my favorites! I am a forever fan of D.F. Jones! If you like drama, romance, betrayal, demons, angels, secrets, magical powers, and jealousy, then this book is for you!!!" "The Ditch Lane Diaries satiated the starving bookworm in me!" "I'll just say that if I were an angel, this book would have me sprinkling love dust all over the place. High five DF Jones. Remarkable Read!" "Grab some tissues for this heart-pounding, pulse-racing series!" Ruby sat close to Reed on the drive back to Murfreesboro. There was a wintry chill in the air, and the promise of snow lurked in the late October sky. The two-lane highway had double yellow lines with no shoulder. As they approached the stretch of the road called Dead Man’s Curve, Ruby looked up a second too late to see a deer run out of the woods and dart into the highway in front of Reed’s car. “Reed, watch out!” she screamed. Reed was driving too fast to react and tried slamming on his brakes, but he hit the deer. That was when everything seemed to happen in slow motion. Ruby heard the brakes screech and smelled burning rubber. She heard the violent crunch of metal as the car skidded in the gravel toward the ditch. She felt as if they were slowly floating through the air—and then, all at once, everything sped up, as Ruby heard the deafening grind of metal, and the car flipped on its side. Ruby’s head hit the windshield, and then there was nothing. Reed woke to a coppery taste in his mouth and the smell of burnt rubber and antifreeze. His head ached with intense pain. It took about a second for him to remember what had happened. He looked down and found Ruby pinned underneath him. His car was flipped over on the passenger side. A surge of adrenaline pumped through his body as he lifted himself off Ruby and gently shook her. Reed lifted her from the floorboard and held her in his arms. “Ruby, honey, wake up. Are you okay?” There was no movement from her. He screamed, “Ruby, baby, can you hear me? Please wake up, Ruby!” His hands shook as he felt for her pulse. Thank you, sweet Jesus! She’s alive! People screamed from somewhere outside, from the sound, there must’ve been at least a dozen people at the scene. He heard sirens in the distance as people approached the car. Reed braced himself with one arm so he wouldn’t fall on Ruby. With his other arm, he tried to secure her next to him, gently, so she wouldn’t hit the dash when the others flipped the car upright. The car flipped upright and bounced like a buggy. Reed cradled Ruby in his arms. Reed glanced up to see the distraught look on Brent’s face when Brent first noticed Ruby. And then Brent fell backward, nearly falling. Ruby lay unconscious, almost lifeless in Reed’s arms. Jerry was the first-person Anna saw when she walked into the Glenn’s house. He leaned against the stairwell with his arms crossed over his chest wearing a navy-blue suit and black shirt. Jerry’s eyes locked with Anna’s. The molecules in the air charged with electricity, kicking up a furor of fire flooding Anna with the warmth of his love. Jerry’s face lit with a smile, and it felt like seeing the sun for the first time in years. Her pulse raced, and her fingertips tingled with power. Anna swiftly looked around the room and didn’t see any sign of Rachel. Anna noticed Rachel walking out of the kitchen. She quickly turned to Brent, who was talking to George and Lizzie. Anna placed her arm around Brent’s waist. Brent smiled down at Anna and circled his arm around her waist. He whispered, “Are we playing a game?” Anna nodded. Out of the corner of her eye, she noticed Jerry tensed and his jaw muscles clenched. She looked down, and Jerry’s right hand balled up into a fist. Hot dog. Jerry’s jealous. As the afternoon wore on, the neighbors and church folk began to leave until the only people left were the Glenn family and a few family friends, including Brent, Sandy, Jerry, Rachel, and Anna. Sandy plied Rachel with cocktails all afternoon. Sandy winked and nodded to Anna when she led Rachel outside to the backyard. It was show-time. Anna whirled around the room and spotted Jerry near the front door watching her. Anna nodded, and he walked up the stairs. Anna glanced across the backyard once more and made a mad dash up the stairs. She made the top step and started down the hallway when Jerry opened Ruby’s old bedroom door and pulled her inside. Jerry leaned in only inches from her face. The warmth of his sweet breath and the spicy scent of his cologne made it hard for her to breathe. His loving eyes searched hers, saying everything and nothing. Anna’s adrenaline kicked in high gear. The clarity she had at this moment was razor sharp. Jerry scooped her up in his arms, carried her over to Ruby’s bed, and lay her down. He traced his fingers along her jawline, down her neck to the swell of her breasts. Jerry pulled back slightly, looking at her as if she were a lost treasure he had just found. He covered her with a blanket of kisses and gently ran his hand over her breast and squeezed, and she stopped him. Jerry brushed his fingers over her cheek. “Anna, I’m sorry. The long and short of it is, I damn well near died when you left. But now I feel like my heart is going to explode with happiness. I don’t want to let you go.” Anna choked back her tears and reached up to run her fingers through his thick hair. Jerry pulled her on top of him and ran his hand down the curve of her spine. “Bad idea. Jerry walked to the door. He cracked it open and paused before he strode back over, pulled her up into his arms, and kissed her one last time. “Damn, I missed you.” Then he left, leaving her standing next to the bed. Her heart hammered faster than a horse running the Kentucky Derby. Anna pressed her fingers to her lips. She couldn’t believe it. Jerry was coming for her tonight. Anna stepped over to Ruby’s vanity, picked up a hairbrush, and began to brush her hair. She opened a tube of coral lipstick and applied it to her lips. Anna went over to the door and peeked outside. She didn’t see anyone, so she quickly walked down the hall and into the bathroom. Anna’s skin flushed pink. It wouldn’t take a rocket scientist to figure out what she had been doing. Anna began to breathe in and out slowly to settle her racing pulse. She looked around the drawers in the cabinets until she found Lee’s makeup case. Anna tried to make herself presentable before she went back downstairs. Anna had waited for ten minutes before she descended the stairs. On the bottom step, Sandy grabbed her hand and dragged her outside. Anna followed Sandy around the back of the house. Sandy stopped and turned to face her. Sandy threw her hands in the air in apparent frustration. “Have you lost your mind? Luc’s Testament held the keys she needed to bring down his network in more places than Nashville. Sandy had enough ammunition to disrupt Luc’s empire on earth. She held the power in her hands. Sandy wrapped the large book with a black velvet cloth and secured it with a leather strap. Sandy felt weighed down by Luc’s Testament as if she carried an enormous burden on her back while walking slowly to her Corvette. She placed the book in the back storage with her Ditch Lane Diaries master copy, then slid behind the wheel and cranked up the engine. A stern Baldric appeared in the passenger seat, arms crossed and jaw clenched. “You can’t stay mad at me anymore. You’re right. Luc’s Testament has enormous power and contains everything we need to bring him down. Nailing Cole Steele will be a bonus. Before we head out to Everglade Farms, I need to stop at the library and make copies of the pages mentioning Cole. I’ll keep the original book with me.” Sandy grabbed Baldric by the face and kissed him on the mouth. “Don’t ask or we won’t make it to the library or Everglade Farms, and I’m already in deep enough waters with Seneca.” Baldric held her hand and kissed her fingertips. Sandy turned up her CD player and began to rock back and forth to the music from Electric Light Orchestra. She teased him and sang out the words, “You like me, you love me, you want some more of me.” She giggled and pulled out onto the highway. “You’re some kind of woman.” He laughed. “Yup, the kind that wants some.” Baldric’s response to her kiss made her heart flutter with excitement. It was the middle of February, and her palms were sweating. Everglade was thirty miles south of Nashville. Driving down I-65, Sandy’s thoughts raced back to Luc’s Testament. She’d followed leads on Cole for months. Not a single solitary soul would even speak to her off the record. Everyone was scared to death of him. But with the book in her trunk, Sandy had all the answers she needed to nail Cole to the wall and couldn’t wait until her segment hit the airwaves. However, in December of 2010, I became my parent's caregiver. There’s nothing quite like facing mortality to shake up one’s life. I began my writing my first novel in the late Fall of 2014. D.F. Jones came to us via Bewitching Book Tours. Supernatural Central did not receive compensation for this post.